Aroma: The balance between the rich blackberry and brambly fruit characters is enhanced by its oak complexity. Palate: A long and flavoursome palate confirming that Cabernet Sauvignon is still the king of reds in the Great Southern. Food: An excellent accompaniment to Roast Lamb. Cellaring: This wine will repay extensive cellaring. 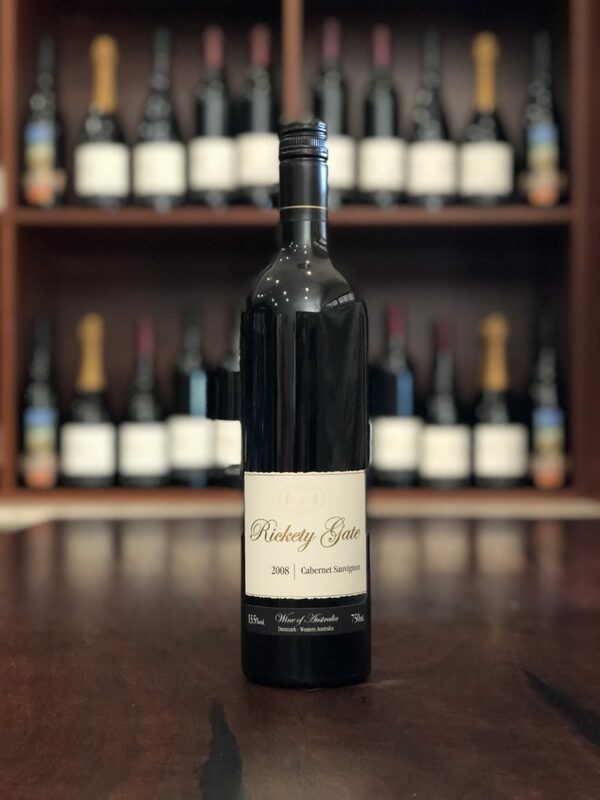 This 2008 release of Cabernet Sauvignon sees a return to fruit sourced entirely from a single Frankland vineyard in the Great Southern. After a 35 day fermentation and extended skin contact, the wine was aged in 100% new French oak for a further 19 months prior to bottling in February 2010. A deeply coloured and structured wine, the balance between the rich blackberry and brambly fruit characters is enhanced by its oak complexity. 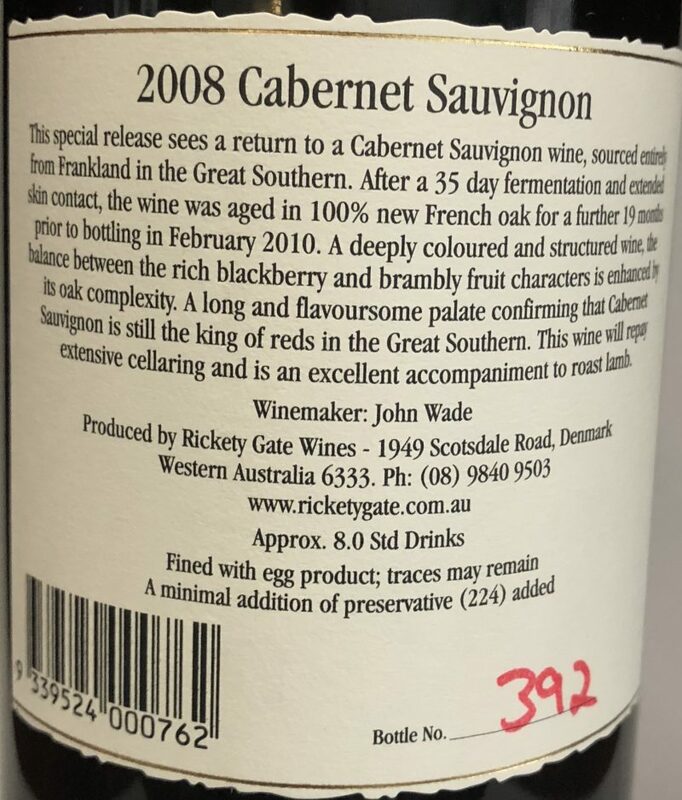 A long and flavoursome palate confirming that Cabernet Sauvignon is still the king of reds in the Great Southern. This wine will repay extensive cellaring and is an excellent accompaniment to Roast Lamb.